Anne Deniau was born in Brest, France, in 1969. She took up photography in the 1990s and lived in Tokyo from 1995 to 1997, working for clients such as Cartier and Givenchy. Her images appeared in publications including Elle, Marie Claire and La Seine. Deniau began working with Lee Alexander McQueen when she moved to London in the late 1990s. They formed a close friendship and he allowed her enormous freedom to photograph whenever she wanted to with ‘no guidelines’. She explained in a recent interview with Susanna Brown (for the forthcoming V&A publication on McQueen) that there was no contract between them, simply an agreement based on ‘absolute trust’. The result of their friendship is an extraordinary body of work, described by McQueen as ‘my life in pictures’. Between 1997 and 2010, Deniau captured the frenetic activity of every show, the intense preparations for each spectacular performance, work in the studio and portraits of the designer in reflective and joyous moments. Like McQueen, Deniau has a passion for the handcrafted and unique. 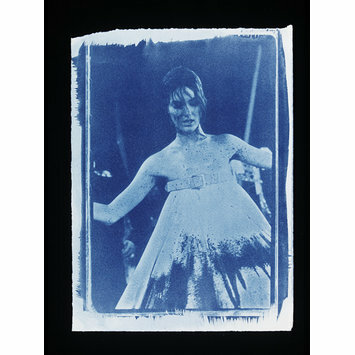 She is fascinated by nineteenth and early twentieth century processes and employs printing techniques such as bromoil and gum bichromate, even hand painting on lith prints with watercolours and oils; one of her first portraits of McQueen was a striking blue cyanotype. A few days after each show, the pair would meet to look over the contact sheets together. Deniau shot approximately 35,000 photographs in total, all on film. The book she produced in 2012, Love Looks Not With The Eyes, is a tribute to a collaboration that was, in her words, based on ‘joy, creativity, love and excitement’. Fashion photograph depicting a model wearing an A line dress. Variant appears in: Claire Wilcox (Ed.). Alexander McQueen. V&A Publishing, London, 2015, p. 75. 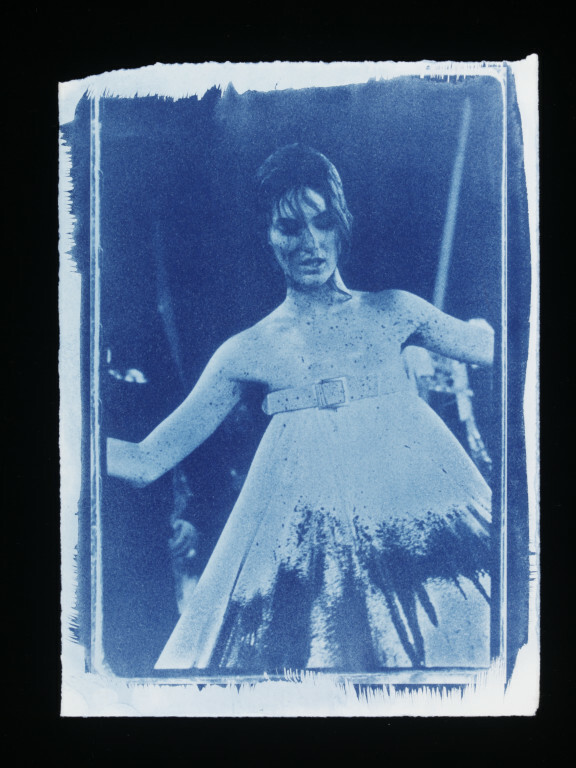 Variant appears in: Anne Deniau. Lee Alexander McQueen - Love looks not with the eyes. Abrams, New York, 2012, p. 60.